Cake decorating is a fabulous mixture of cookery and art, with a sprinkling of inspiration, precise care and reckless use of the imagination thrown in for good measure. 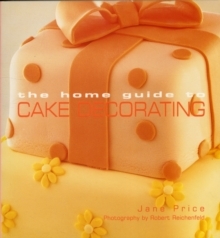 This book will lead the novice through the simplest basics, but also contains great ideas and fantastic creations to inspire experienced sugarcrafters. If you have never baked before but want to make a teddy bear's picnic cake for your toddler's birthday, or if you are planning a three-tiered traditional cake with a cream frangipani for a family wedding, this is the book to show you how to do it.